You are here: Home / Beef / Steak with Whisky Sauce – truly delicious! 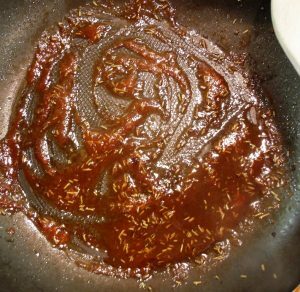 Steak with Whisky Sauce – truly delicious! If I was asked what my last meal would be it would be this Steak with Whisky Sauce. My mum had this dish in a Danish restaurant once and asked the chef for the recipe as she was so bowled over by it. It is the perfect dish to serve on Valentine’s Day as I’m sure it would impress anyone (providing they’re not vegetarian of course)! This week I was lucky enough to be sent an Organic Premium Steak Box (£65) to try out from Graig Farm Organics who can be found at www.graigfarm.co.uk. Graig Farm Organics are based at a farm in Montgomeryshire where they continue the Welsh tradition of tasty, award winning organic produce. Since the 1940’s the farm has been with the same family, which has now branched out with the introduction of an online shop, giving them the ability to serve the public direct to their door. There’s also a tempting 20% off your first order. It doesn’t surprise me that Graig Farm have been supplying some of the UK’s leading restaurants for years with The Dorchester being a long-standing client. 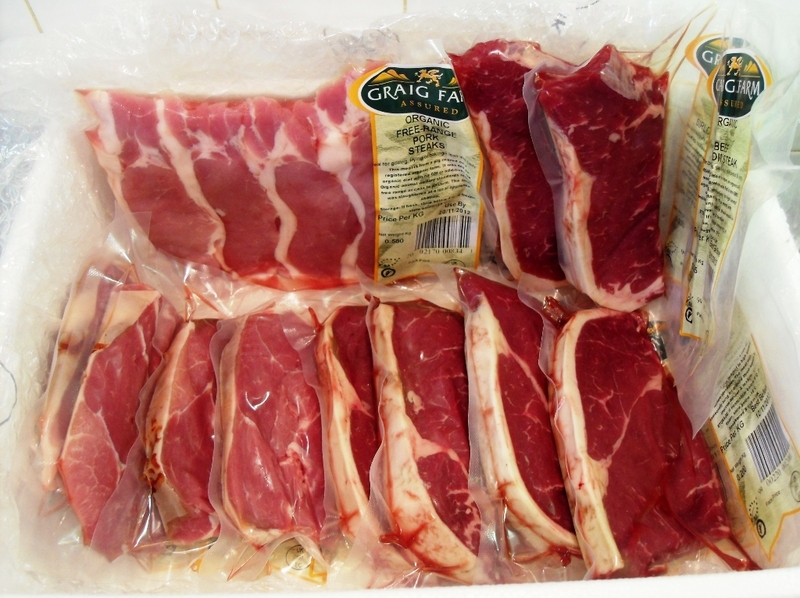 Graig Farm has won a series of prestigious awards including the “True Taste” awards in recognition of the quality of their meat. Their Welsh Lamb alone has already won 5 awards. So what does their meat taste like? 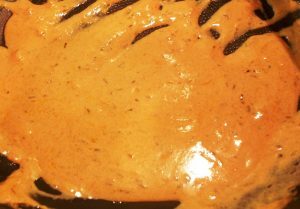 I decided to make my mother’s Whisky Sauce (a closely guarded secret until now) to put the Sirloin Steaks to the test. My husband and I sat down to our meal and were in gastronomic heaven. We have never tasted a more tender, velvety, succulent and delicious steak in all our lives and my mum’s Whisky sauce was awesome as always! We may as well have been sitting at the Dorchester because they were out of this world! I was glad that I’d gone to the effort of making Duchess potatoes for a mid week meal because these steaks really deserved to be made a fuss of. I shouldn’t have been surprised at their quality as it was apparent when I opened up my box of chilled steaks (wrapped in pockets of ice). I don’t tend to buy a lot of steak because it is always seems such pot luck when it comes to quality. Invariably we’ll sit there discussing how tough it is and trying to cut it into tiny pieces as a consequence. 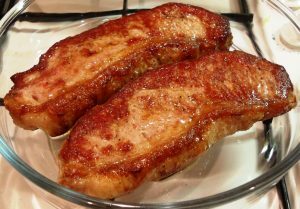 I cannot wait to try the pork and the award winning lamb steaks which I have put in the freezer for now. So if I’ve whet your appetite and you’d like to win an Organic Premium Steak Box for yourself then enter the rafflecopter at the bottom of this post. As my Steak with Whisky Sauce contains Rosemary I am entering it into the Herbs on Saturday Challenge hosted by Jen at Blue Kitchen Bakes this month and usually by Karen at Lavender & Lovage. After tenderising and seasoning fry steaks to your liking. Once cooked set aside in a warm place. In with the pan juices add the rosemary. Followed by the whisky, water and then ketchup. Finally the cream, seasoning and meat juices from rested meat are added. A meal fit for a King or Queen! Complete the Rafflecopter form below to confirm your entries made via blog comments, Twitter, etc. This giveaway will close on 11/12/2012. First timers: Please watch how Rafflecopter works(video)! It is 46 seconds long. It explains everything. Do you want more chances to win? Come back daily after tweeting about the giveaway and fill the rafflecopter form in again. Open to mainland UK entrants only this time (due to busy time of year) over the age of 18. 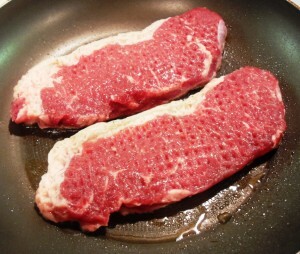 There is 1 prize of an Organic Premium Steak Box from Graig Farm Organics worth £65. There’s no cash alternative and the prize is not transferable. No part or parts of the prize may be substituted for other benefits, items or additions. Instructions form part of the terms and conditions. Entries using any software or automated process to make bulk entries will obviously be disqualified. The winner will be picked at random using software and then contacted by email. If you win and then don’t respond to this email within 2 days then another winner will be picked. The prize winner will need to provide a mobile phone no. for the carrier to contact you regarding delivery which can be left with a neighbour or in a safe place. I am running this giveaway on behalf of Graig Farm Organics who will be responsible for sending the prize to you if you win. Their decision is final and binding and no correspondence will be entered into. Please don’t say you have liked the post and followed me on Twitter and Tweeted if you haven’t as I will check and fairness is my middle name! NB: All the views in this post are my own and I have not received any payment from Graig Farm Organics. Succulent steak served with a heavenly creamy whisky sauce infused with rosemary with back notes of tomato. Tenderise the steaks using a meat hammer (probably not necessary with Graigs) and then season with salt and pepper. Fry the steaks in a pan to your liking, for medium I did mine for 3 minutes each side. Transfer steaks to a warmed dish, cover and put in a warmed oven (switched off). 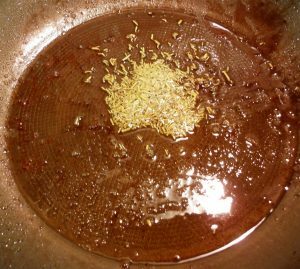 To make the Whisky Sauce add dried rosemary to the remaining oil and meat juices in the pan and fry on medium heat for 30 seconds. Then add whisky and cook for a further minute. Then stir in the hot water and then the ketchup and heat through for a minute. Next stir in the single cream, heat through and season to taste. Remove the steaks from the oven and pour any remaining juices into the sauce and stir well. The quantities of ingredients here can be played around with so if you think you need to add more of anything eg water or cream then do so if needed! Looks like some really good quality meat!! Yum yum! With 19 (yes19 !!!!) seemed like a good idea at the time LOL) coming to stay for Christmas & sit down to Christmas dinner, I need all the inspiration i can get. Seriously though I can’t wait to have all my five children, their partners, my scrumptious grand children & my 81 year old Mother, hubby & me all sat around & home again, it’s going to be complete madness, but a lovely madness. my boyfriend would love this, he says I never eat enough protein! My mouth is watering at the thought of it!